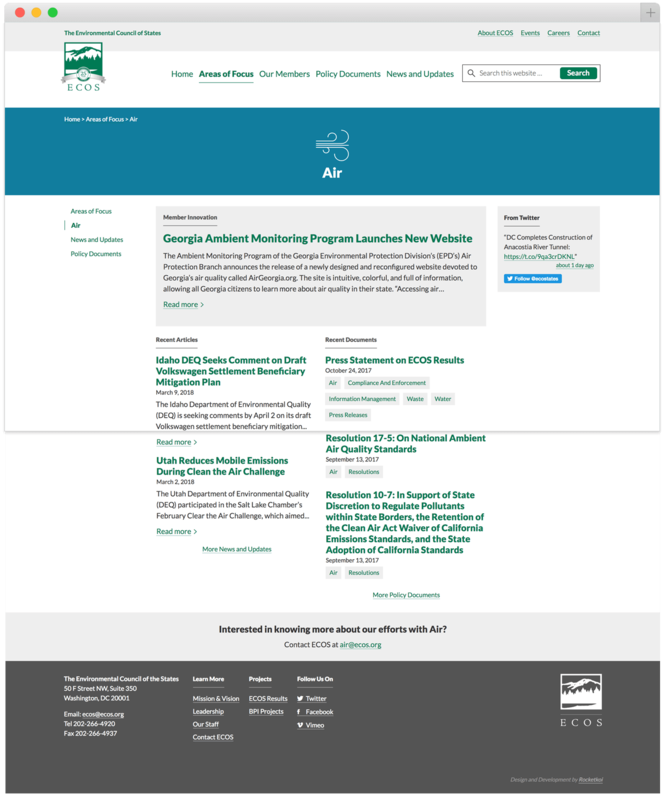 The Environmental Council of States had a website over a decade old. With that came over a decade of pdfs, word documents, and other files that were being hosted where members could not access them (either due to a broken CMS or various firewalls.) WordPress and a well thought-out UX was the solution. Working with a core ECOS team through strategy sessions, we gave the website a purpose: To be a tool that celebrates and supports members’ efforts. This meant getting to the bottom of what content needed to migrate to the new site and letting it, along with member needs, lead our reorganization effort and visual design choices. 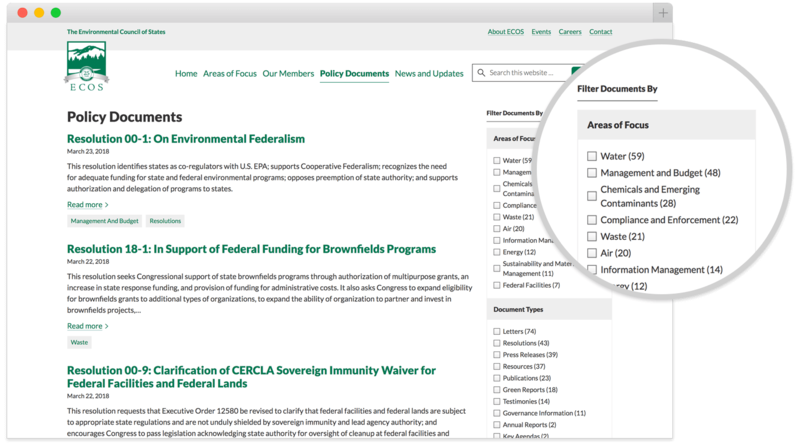 With all of that content, a priority had to be making it easy to find and relevant to the ECOS audiences. Thanks to FacetWP, a faceted search plugin from developer Matt Gibbs, we were able to provide multiple pathways to content that enabled a true “hub and spoke” experience to be developed. 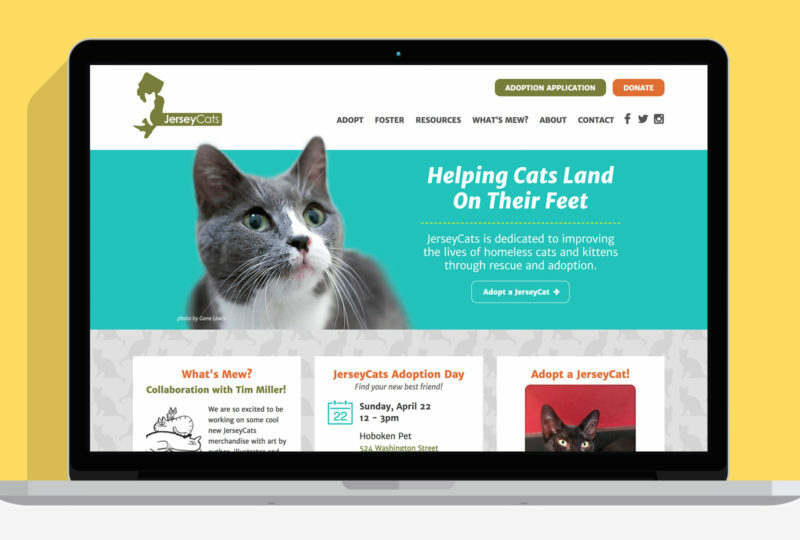 Helping a rescue organization have a website that's the cat's meow!